We are now in the home stretch of the Order for Advancement series. This round we set our focus on Dan. Genesis 30:1-6 – Now when Rachel saw that she bore Jacob no children, Rachel envied her sister, and said to Jacob, “Give me children, or else I die!” 2 And Jacob’s anger was aroused against Rachel, and he said, “Am I in the place of God, who has withheld from you the fruit of the womb?” 3 So she said, “Here is my maid Bilhah; go in to her, and she will bear a child on my knees, that I also may have children by her.” 4 Then she gave him Bilhah her maid as wife, and Jacob went in to her. 5 And Bilhah conceived and bore Jacob a son. 6 Then Rachel said, “God has judged my case; and He has also heard my voice and given me a son.” Therefore she called his name Dan. Dan, in Hebrew, means “a judge”. Because our Lord is so merciful and gracious, we sometimes forget the judgement part of His character. However, He judges through truth and righteousness. Isaiah 11:1-5 – There shall come forth a Rod from the stem of Jesse, And a Branch shall grow out of his roots. 2 The Spirit of the Lord shall rest upon Him, The Spirit of wisdom and understanding, The Spirit of counsel and might, The Spirit of knowledge and of the fear of the Lord. 3 His delight is in the fear of the Lord, And He shall not judge by the sight of His eyes, Nor decide by the hearing of His ears; 4 But with righteousness He shall judge the poor, And decide with equity for the meek of the earth; He shall strike the earth with the rod of His mouth, And with the breath of His lips He shall slay the wicked. 5 Righteousness shall be the belt of His loins, And faithfulness the belt of His waist. Revelation 19:11 – Now I saw heaven opened, and behold, a white horse. And He who sat on him was called Faithful and True, and in righteousness He judges and makes war. 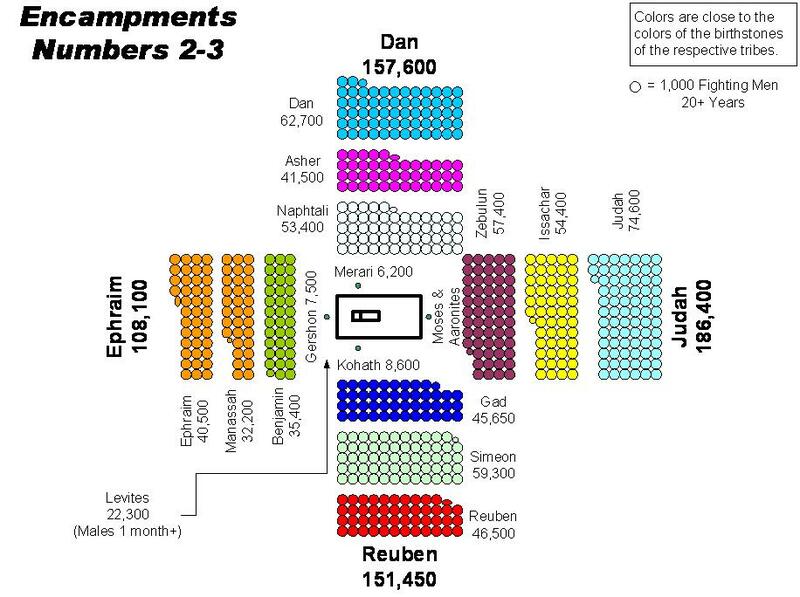 What did Jacob (Israel) prophesy over Dan? Genesis 49:16-18 – “Dan shall judge his people As one of the tribes of Israel. 17 Dan shall be a serpent by the way, A viper by the path, That bites the horse’s heels So that its rider shall fall backward. 18 I have waited for your salvation, O Lord! Moses spoke this of Dan. I feel led to share some insight into the Hebrew alphabet to give us a better understanding. “Dan” is made of two letters from the Hebrew alphabet; dalet and nun in its final form. From my Hebrew alphabet studies, I understand dalet to mean door and nun to mean servitude. Isn’t that a perfect picture of our Lord Jesus Christ? He is the door/way to our Father God and He is humble and meek as anyone is (or should be) who is in service to another. Through this nature He judges the nations and us individually. His ways are superior to ours but He corrects us through His way of judging out of His love for us. His judgments come on the righteous and the wicked. Another interested thing is the word “Dan” is a root of the word “diyn”. When I see these definitions, a few verses come to mind. Matthew 10:34-39 – “Do not think that I came to bring peace on earth. I did not come to bring peace but a sword. 35 For I have come to ‘set a man against his father, a daughter against her mother, and a daughter-in-law against her mother-in-law’; 36 and ‘a man’s enemies will be those of his own household.’ 37 He who loves father or mother more than Me is not worthy of Me. And he who loves son or daughter more than Me is not worthy of Me. 38 And he who does not take his cross and follow after Me is not worthy of Me. 39 He who finds his life will lose it, and he who loses his life for My sake will find it. All three of these verses have to do with God’s judgments to an individual’s pleas. Another interesting note is the word ‘diyn’ comes from the root word ‘adown’ (sounds like adone). At first glance of this word, I immediately thought of one of God’s names, Adonai. Through the meaning of “Dan” we see, yet again as with the other sons of Israel thus far, characteristics of our Lord Jesus. We can see Jesus as Judge. I believe we rarely speak of this characteristic because it can insight fear within us due to lack of understanding. Jesus judges through righteousness and mercy. Luke 18:31-34 – Then He took the twelve aside and said to them, “Behold, we are going up to Jerusalem, and all things that are written by the prophets concerning the Son of Man will be accomplished. 32 For He will be delivered to the Gentiles and will be mocked and insulted and spit upon. 33 They will scourge Him and kill Him. And the third day He will rise again.” 34 But they understood none of these things; this saying was hidden from them, and they did not know the things which were spoken. Luke 18:39-43 – Then those who went before warned him that he should be quiet; but he cried out all the more, “Son of David, have mercy on me!” 40 So Jesus stood still and commanded him to be brought to Him. And when he had come near, He asked him, 41 saying, “What do you want Me to do for you?” He said, “Lord, that I may receive my sight.” 42 Then Jesus said to him, “Receive your sight; your faith has made you well.” 43 And immediately he received his sight, and followed Him, glorifying God. And all the people, when they saw it, gave praise to God. All of these stories are one after the other in Luke 18. The entire purpose of this Order for Advancement series is to gain deeper understanding into Who it is we serve and thus who we are through Him. By this deeper knowledge, we learn what His proper order is within the Kingdom and are better able/capable to have Heaven here on earth with every step we take and with every word we speak. Using the twelve sons/tribes of Israel is just another way our Lord God has provided for us to have vision into His ways. Some may not understand these and some will. I strongly believe this series was placed on my heart directly from Holy Spirit for us to better know, understand, obey/serve, and love our Lord God. “Dan” means a judge. We are not called to judge unless it is with the eyes and heart of Jesus through Holy Spirit. However we judge one another is how we ourselves will be judged (Matthew 7:1-6). There is a battle for every man, woman, and child’s soul that has existed since the beginning of time. Yet, we are overcomers because we have He that overcame the world and is Judge over all. Wisdom is all we need. Proverbs 24:5-6 – A wise man is strong, Yes, a man of knowledge increases strength; 6 For by wise counsel you will wage your own war, And in a multitude of counselors there is safety. Proverbs 9:10 – “The fear of the Lord is the beginning of wisdom, And the knowledge of the Holy One is understanding.